Nah exactly the same as it was. Doesn't seem to be a bug. 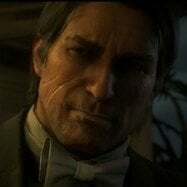 Something I haven't checked is if Saint Denis has frame drops on standard Xbox and PS consoles still? Any noticeable improvements? Since the patch I noticed that when you put a waypoint marker on the map, no route will show up. I had this in online and sp. Anoying when youre looking for dino bones and rock carvings..
FYI I heard it also fixes the Arthur New Austin exploit, so if you still want that I'd hold off from updating for a little while. You heard wrong. There’s literally a thread about the glitch and a couple people have said it still works. I noticed I have my GTAO Double Action revolver now, so it seems they fixed that. I am updating now... 40% done so far in 10 minutes on One X. Will report back once I finish updating and test out the game. Also i can't do the Mexico glitch anymore. My horse just stands to a dead stop instead of spasm attacking his way up the wall :(. There will be another way somewhere. Is it just in your bag? Man I bought one and customized it to look like the one in gta but it never looked right. I killed one days ago. Not positive but they may have toned down the wanted system. The only reason I'm not sure is because I'm in the late stages of chapter 6 and it may affect things, I dunno. Anyway I am currently wanted dead or alive in Lemoyne with a high alert radius around St. Denis. Three times now I've gone into town, been spotted by the law, and twice I shot a few of them. Rode away and had a much toned-down pursuit compared to when I was wanted in the city earlier in the game. Either they made it easier to escape the active searches, or maybe it's just tied to where I am in the story. I doubt there will be a PC release just like he previous games. I tried all those videos.... and steps other people commented too. Nothing worked. I was in Big Valley I think and was tracking a bull elk. Was just about to shoot the elk when I saw this massive set on horns in the distance. Tracked him and killed him, then got the elk too! The weather cycle is seriously broken. Sometimes there is more or less no or very poor transition between weather and time. I'm playing on PS4 and turned off autosave while playing. Now I was playing epilogue 1, but after installation of the patch the game put me back to Chapter 4 - when I last manually save. Might be a bug. 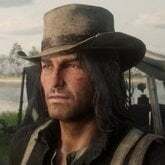 Once I saw 5 or 6 Lawmen came to the crime scene after the shooting was over and started to clean the area by taking the dead bodies of the bounty hunters with them on their horses. Man, reading the back end of this thread, I hope this patch fixes more than it breaks? Do not be sorry. Be lumbago. Was about to ask the same thing.